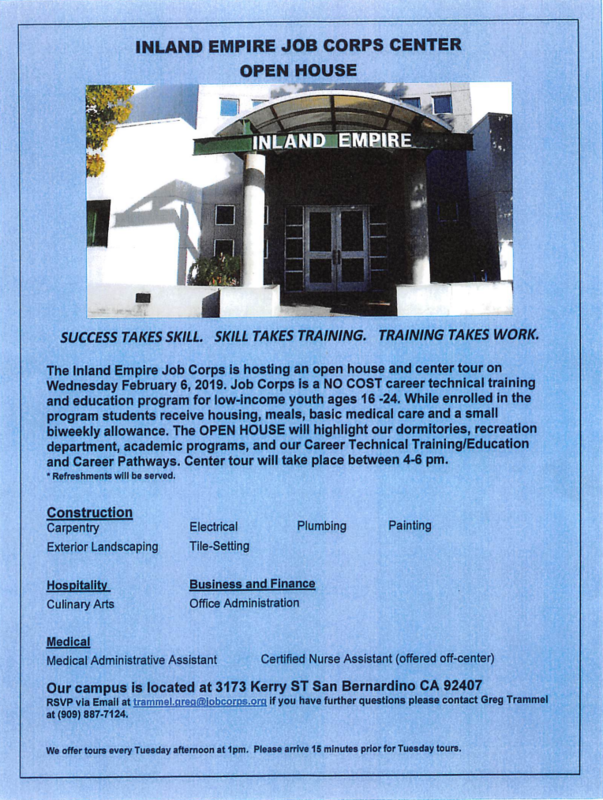 Inland Empire Job Corps Center Open House – February 6, 2019 from 4-6pm. 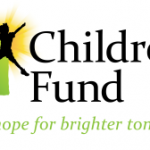 (Carpentry, Exterior Landscaping, Electrical, Plumbing, Tile Setting, Culinary Arts, Office Administration, Medical Assistant and Certified Nurses Assistant. 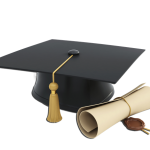 Immersive Career Exploration – Norco College. 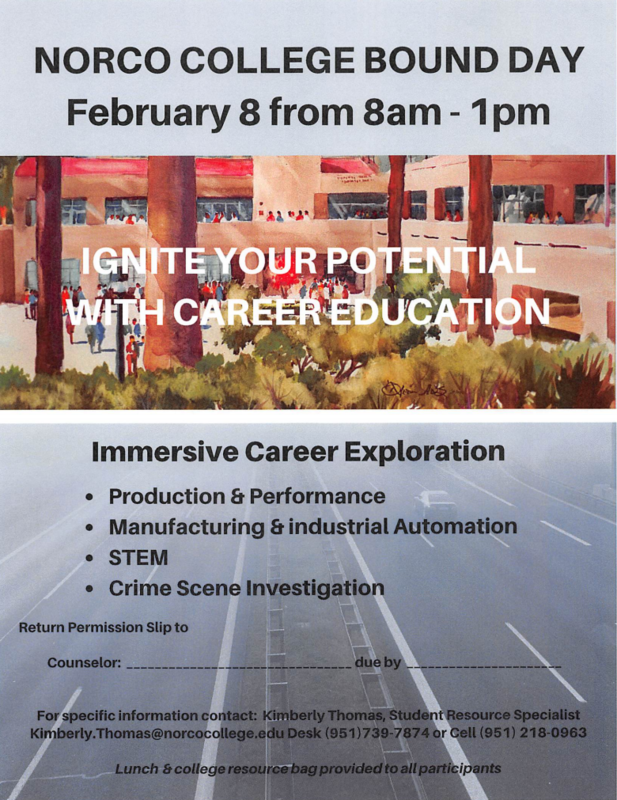 February 8, 2019 from 8am – 1pm (Crime Scene Investigation, Production and Performance, Manufacturing & Industrial Automation and STEM). 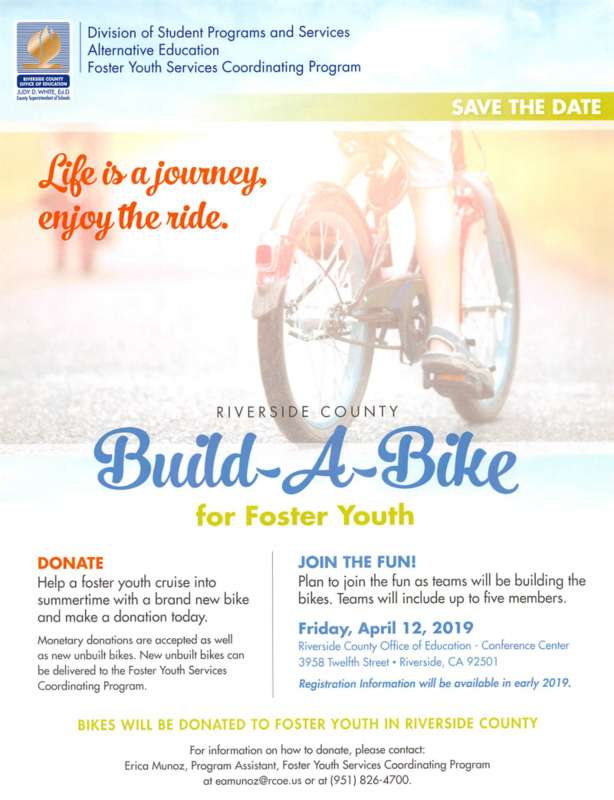 The Riverside County Office of Education is sponsoring a “Build -A-Bike” for Foster Youth event on April 12, 2019.